After trying to get pregnant but being unsuccessful, when the couple firsts decide that they need medical help to conceive, the number of fertility treatment options available can seem surprising. The number of fertility treatment options available such as Artificial Insemination (AI), IVF (In-Vitro Fertilization), IUI, ICSI, Blastocyst Culture, Donor Egg, Surrogacy, etc. can make everything seem complicated and confusing. How does one decide which treatment is right for her/him? 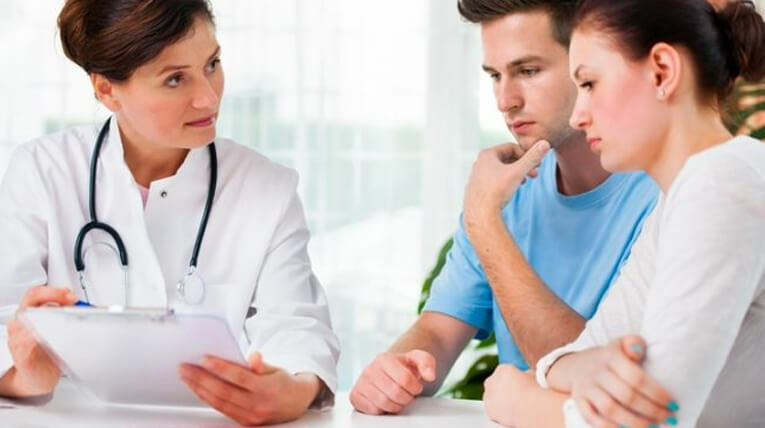 It is best to understand the cause of the issue and what the doctor suggests so that one can decide on the best IVF treatment clinic for a suitable fertility treatment option. Along with this, it is always good to have information about the various fertility treatment options that are available today. To help you out with your decision, here we are with two of the most successful and popular treatment options Artificial Insemination and IVF (In-Vitro Fertilization). So, if you decide among these two, the things discussed below will help you decide which one to go with. These treatments are often mentioned together, but these have many significant differences. Artificial insemination refers to the single stop procedure. Sperms from a male partner are placed directly in the patient’s uterus. Insemination is done when she is ovulating to aid fertilization. Initially, the ovaries are stimulated using fertility medication. Then the patient undergoes egg retrieval under mild anesthesia. After that, the eggs are combined with sperms for the fertilization process. A healthy embryo is selected and placed into the female’s uterus. Artificial insemination is less physically demanding than IVF. We cannot calculate the exact success rate of both these treatments as there are many factors which act as a significant part of the success of these procedures. But statistically, the artificial insemination has low success rate than the In-Vitro Fertilization. the average success rate ranges from 8%-15% per cycle. the success rate decreases for the females over 40 by 2-5%. the success rate ranges from 40-45%. for women, over 35 the success rate drops significantly. It is also important to consider time. AI takes much less time as compared to the IVF. Artificial insemination cost less than IVF. It is one of the most important considerations for many patients. But in some cases, depending on your diagnosis and your chance of conceiving it is more cost effective to undergo IVF cycle directly instead of artificial insemination. When to go for Artificial Insemination? AI is usually an excellent first line of treatment for a lot of patients, but it depends on their diagnosis. When should you go straight to IVF? Both the treatments Artificial Insemination (AI) and In-Vitro Fertilization are good options but IVF is much better with relatively high success rate and low risk. It is a good option for natural and safe childbearing. If not successful in the first cycle this can be repeated for the second cycle.